Learning Tower provides a safe platform for your child to work on projects at countertop levels. Sturdy and durable, it is constructed from wood and is protected with a gloss finish. 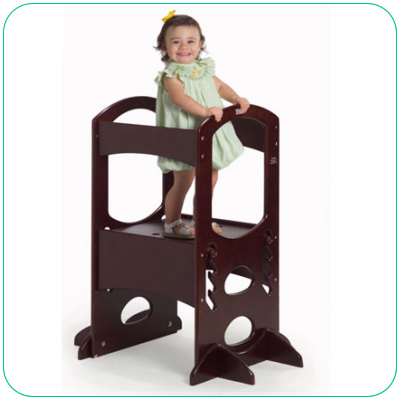 Adjustable to four levels, it will grow with your child!